Guile, Ibuki and more to arrive after launch. Capcom’s Yoshinori Ono, the main man behind the Street Fighter franchise, took the stage for some horrible comedy but fortunately brought some decent news about the upcoming Street Fighter 5. First off, we got a look at the final launch character for the game’s roster – F.A.N.G., a sly fighter who works for Shadaloo, M. Bison’s organization. Then we received confirmation of six new characters that would be arriving for the game after launch (revealed through data-mining this past November). 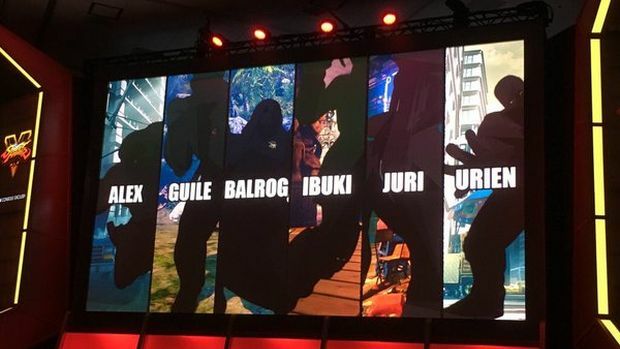 They include Guile, Ibuki, Balrog, Juri, Alex and Urien. Quite the assortment for characters, from Street Fighter 2 all the way up to Street Fighter 4. Street Fighter 5 will be releasing on February 16th 2016 for PS4 and PC. What are your thoughts on the new characters? Let us know your thoughts in the comments.